In Illinois, prosecutors aggressively pursue convictions in domestic violence charges. Some actions clearly constitute domestic violence, but other more innocent-seeming actions, like blocking the door to prevent a partner from leaving during an argument, can be charged as well. In all cases, a conviction for domestic violence has serious and long-lasting consequences. A conviction for domestic violence can result in difficulty getting or keeping a job or professional or occupational license. It can limit your ability to choose where you want to live, prevent you from getting into college, or cause your expulsion if you're already there. A domestic violence conviction can keep you from being able to legally own a gun. If you're not a U.S. citizen, a domestic violence conviction can cause you to be removed from the country. And if you're a parent, a domestic violence conviction will create a legal presumption that you should not have joint custody of your children, and may limit your ability to have unsupervised visitation. All of these consequences are in addition to potential jail or prison time that may be imposed. If you are convicted of any type of domestic violence charge, and you have a previous conviction, the penalties are even more harsh. It's not exaggerating to say that a conviction for domestic violence can affect you professionally, legally, and personally for the rest of your life. At Beuke & Beuke, we know that there are at least two sides to every story when it comes to any charge of domestic violence. We understand that people are sometimes motivated to make false, malicious, or exaggerated allegations for less-than-honorable reasons. We know that the police have less to lose from making an unjustified arrest than from failing to arrest someone. Rick and Peter Beuke work hard as a team to get all the relevant facts and to bring them to light so that you won't suffer unjust consequences. 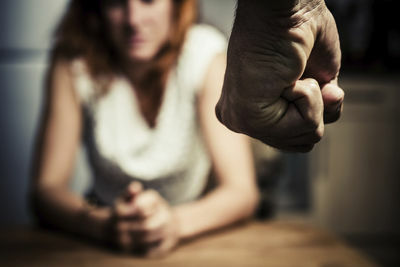 When you've been charged with domestic violence, you need an attorney who has the knowledge and grit to fight for you. Your relationships, your job, and your freedom hang in the balance. A strong defense is your best investment. If you have been charged with domestic violence, don't risk going it alone. Contact Beuke & Beuke immediately so that we can get to work protecting your rights and your future.